We are excited to announce the launch of Sheriff Consulting Online! An engaging online approach to your professional development. Your professional development training should not feel like a chore, but more like binge watching one of your favourite TV series (ours would be “the Wire”) where you look up and it’s the next day. This is how we define engagement. You will laugh and learn with other professionals and share an entertaining and impactful learning experience. Your professional development is about action. If you learn it and don’t use it, then what’s the point (besides the CPD hours and all the fun you will have in our courses). Using the expertise of our instructors and research based tools, we provide easily implementable action steps to help you move along your path of continuing professional development. Our content is SMART: Specific, measurable, attainable, realistic and timely. It has been developed using our expertise in the subject matter area and designed using the latest research in adult learning pedagogy. Looking to reduce your organization’s training costs? Communicating with accounting/finance professionals can be challenging for those who work in other areas of an organization (such as Sales, HR, and Engineering etc.). Discussions around budgets, forecasts, pricing strategy, financial statements etc. can often lead to misunderstandings and conflicts. This fun and interactive course will help non-financial managers understand and speak the “language” in which accounting/finance professionals use to communicate with the goal of fostering effective teamwork and decision making. In this workshop, designed specifically for accounting and finance professionals, we will explore the perceptions of the generational differences between Baby Boomers, Generation X and Millennials. We use current research to identify the areas of misconceptions between generations and implement tools to increase empathy and communication across our diverse generational team members. In this workshop, designed specifically for accounting and finance professionals, we will explore root causes of stress and pressure that negatively impacts our professional and personal health. The workshop will then provide you with established tools and techniques that can be implemented immediately to help address these stressors and improve your quality of life. With the increasing competition for our time including work, family, sleep, new revenue recognition and lease standards and smartphones, how do we find the time to get things done? Specifically, how do we find time to work efficiently while managing our stress. In this workshop, we will examine your specific time management style and understand the strengths and weaknesses of that style. We will then introduce several established and innovative time management tools to help you better organize your time which includes both your professional and personal commitments. This interactive and engaging course will provide tools for newly hired young professionals to develop these foundational skills. Working on camera is no longer a skill only needed by actors. Accounting and finance professionals regularly find themselves being filmed for training courses, marketing, social media and while delivering presentations. This hands-on workshop will provide practical tips how on to properly address a camera and gain confidence in front of a camera. Develop tools to respond effectively to emotionally charged situations. In this workshop, we will use the latest research studies to provide practical and easy to implement action steps to improve your productivity in the workplace. All leaders have their own style in order to help teams accomplish their required tasks. However, leaders that have the ability to adapt their style to what the teams or individuals need will accomplish this with the most efficiency and least conflict. In this workshop, we will explore an established methodology to assess your style of leadership and then understand how you can adapt to what your teams need to excel. We will examine the current research on motivation and provide tangible tools and techniques to motivate yourself and the members of your team to achieve the project goals. Attending networking events commonplace as a professional. Networking can benefit both you and your organization. 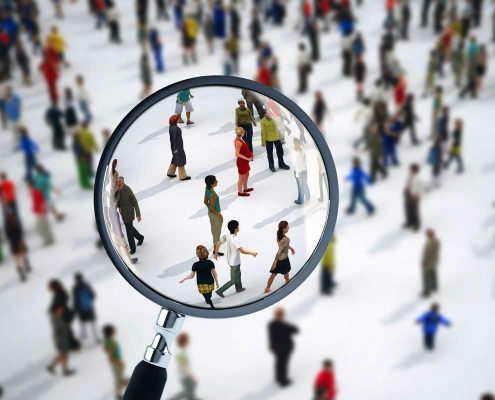 However, for many of us, networking events are challenging functions to navigate for which the objective may be unclear. In this workshop, we will learn key tools to improving your professional networking skills. Most people have interacted with leaders who they would say are great at “thinking on their feet”. They would describe these individuals as having an ability to handle any challenging conversation or question with grace and aplomb. In this way, the ability to “think on your feet” has typically been seen as something leaders are born with. However, the ability to react to a challenging dialogue in real time to achieve an optimal outcome can be learned. Theatre improv offers us tools that can be practiced that will help leaders respond with confidence and calm to the unexpected. This workshop will explore why we may have varied reactions to these unexpected moments and introduce improv as a tool that can help us move toward greater consistency and confidence in the outcome. A continuation of the “Improv for Accountants” workshop. The tools of improv introduced in the first workshop will be explored further through the introduction of new activities and exercises that will increase your ability to think on the spot. Innovation can lead to breakthrough ideas and operational excellence. However, ‘outside the box’ thinking is very challenging for most of us. 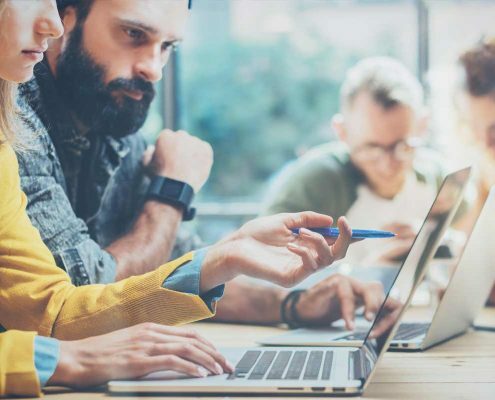 This workshop will provide you with established tools and techniques that can be implemented immediately to help encourage innovation individually and within your teams. This interactive workshop will provide research on the direct link between our physical well being and our productivity in the workplace. We will then introduce ways to improve our physical well being in the workplace through nutrition tips and office yoga techniques. Sheriff Consulting also develops and delivers customized courses specifically designed for your organization’s training needs. For more than a decade, Sheriff Consulting and founder Garth Sheriff have been developing and delivering training programs to CPA firms in both Canada and the U.S. Its mission is to help assurance practitioners effectively and efficiently manage the changes in the assurance standards as well as implement best practices for CPA firms. The purpose of these services is to help CPA firms achieve continual improvement of documentation, cost recovery and development of their people. This program will provide up to date developments pronounced by the AASB and their implications for assurance practitioners. 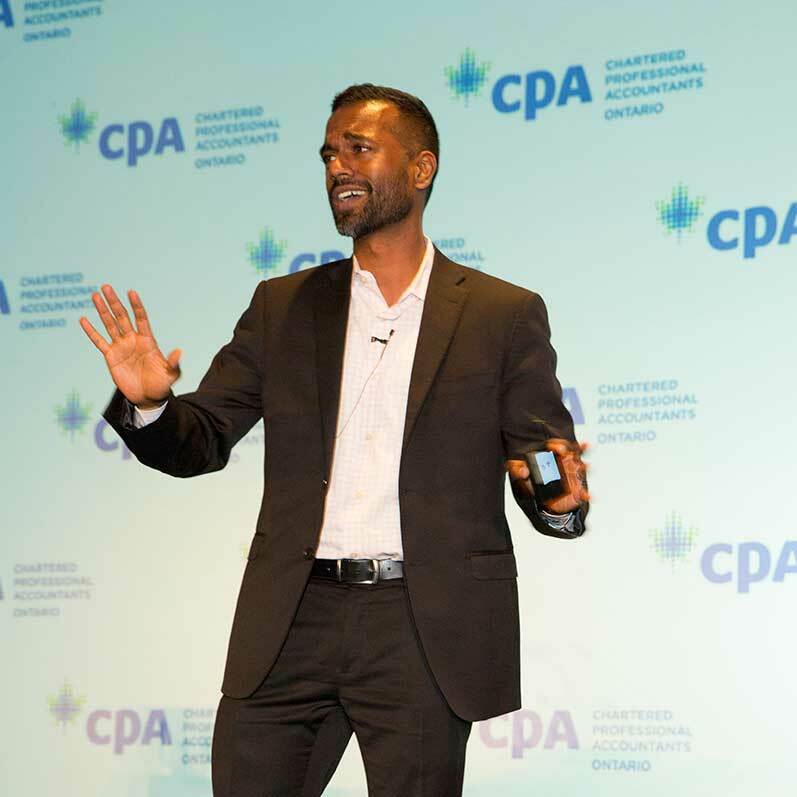 A recently published CPA Canada report on blockchain technology (https://www.cpacanada.ca/en/business-and-accounting-resources/audit-and-assurance/canadian-auditing-standards-cas/publications/impact-of-blockchain-on-audit) has urged external auditors to understand the implications of this technology on the profession. In this program, we will make blockchain technology and cryptocurrency understandable and provide practitioners with action steps to help them prepare for this game-changing technology. A significant change to our assurance standards is approaching. Are you confident and comfortable with the new Canadian Standards on Review Engagements (CSRE 2400) effective for period ends on or after December 17, 2017? This workshop provides an overview of what’s new, a comparison of the old standards to the new standards, and the “Top Five” things you need to do NOW to get ready for CSRE 2400. The workshop is intended to both help firms meet the documentation standards required by CSRE 2400 and help to make the implementation of the standards cost effective. Per CSQC 1, a key component of a CPA firm’s system of quality control is monitoring (CSQC 1 par.16). Sheriff Consulting offers monitoring services which involve the review of a completed assurance file. The review will provide detailed written and verbal feedback on how your firm can further improve on documentation for purposes of meeting the assurance standards, your firm’s quality control policies as well as efficiency (e.g. improving cost recovery). Breaking news! Auditing and Assurance Standards Board (AASB) has issued the exposure draft for the new Proposed CSRS (Canadian Standard on Related Services) 4200 to replace s.9200. Anticipated effective date second half of 2020. This training will highlight the key changes of the new standard, the impact for your billing and clients and what you need to do to get ready. Based on the results of the monitoring services, Sheriff Consulting offers a customized 1-2 day workshop for all levels of your firm. The interactive workshop will use your firm’s assurance methodology (working papers) and technology to provide specific action steps to improve the firm’s documentation and also examine changes to help increase cost recovery. The key objectives of the workshop are to examine ways to implement the findings of the monitoring services and to train the staff to help execute these changes. Write and revise reports for appropriate tone, conciseness, readability, and clarity. Using your organization’s audit methodology, Sheriff Consulting will create and deliver a customized and engaging orientation program for new hires into the internal audit department. Please contact us for further information. Upon request, we can also provide testimonials/references for our internal audit clients who have participated in this program. This program will provide internal auditors with an update on the Institute of Internal Auditors’ (IIA) new standards and changes to the International Professional Practices Framework (IPPF) or Red Book for 2017/2018. The revised Canadian Auditing Standards (CAS) 315 exposure draft was released in August. This course will highlight the key changes of the exposure draft, the impact on audit planning and billing and what you need to do to get ready. Per CSQC 1 (Canadian Standards on Quality Control), a key component of a CPA firm’s system of quality control is monitoring (CSQC 1 par.16). Sheriff Consulting offers monitoring services which involve the review of a completed assurance file (audit and review). The review will provide detailed written and verbal feedback on how your firm can further improve on documentation for purposes of meeting the assurance standards, your firm’s quality control policies as well as efficiency (e.g. improving cost recovery). When and where Garth is teaching next. Garth is an engaging speaker that captivated the audience. He provided great tips on how to become a more effective leader using a mix of storytelling techniques and television examples. It’s always great when you can relate to the speaker! I had the privilege to attend an event where Garth was a speaker. He was very enthusiastic, engaging, and approachable. We were given fun and interactive exercises where we got to communicate with one another with ease while learning about each other and more importantly, ourselves. It was a rare experience where I felt learning could be so enlightening and enjoyable at the same time. I hope Garth will have more future events as I would definitely be sitting in the audience! The Management Accounting Refresher Course was exactly what I wanted. It was a review of all things management accounting with hands-on exercises and useful feedback. Garth gave applicable, real-life examples and was a very engaging instructor. I greatly enjoyed the course and was also pleased to receive a helpful reference book. 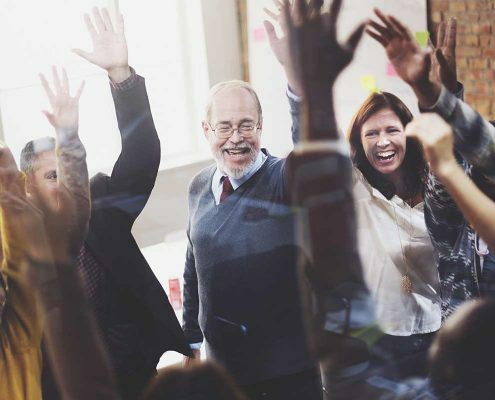 I found the Motivating your Team to Excellence course a good introduction to different approaches that you can take to get your employees working together towards a shared goal. Garth was an excellent presenter and involved the attendees in the conversation by having them sharing real life situations that they experienced in their workplace. I would definitely recommend the course to anyone who wants to kick start a path to a better working environment and a better understanding as to what motivates their employees.